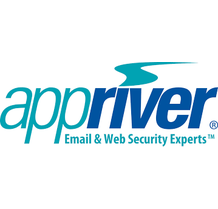 AppRiver is a Software-as-a-Service (SaaS) provider offering award-winning email and Web security solutions to businesses of all sizes. Understanding the need to protect networks from today's increasingly complex IT threats, AppRiver offers businesses a comprehensive, yet affordable subscription-based solution that incorporates the latest spam and virus protection, email encryption and Web security on the market. In addition, the company provides a complete managed service for Microsoft Exchange, as well as a bundled Office 365 solution. Since its inception, AppRiver has sustained an impressive 93% customer retention rate while growing its customer base to more than 47,000 companies and 10 million mailboxes worldwide. The company maintains offices in Florida, Georgia, Texas, New York, Switzerland and Spain, and is led by an Ernst & Young Florida Entrepreneur of the Year award winner.